You have your online venture and are on the verge of becoming a successful online entrepreneur but somehow you are finding difficult to take the next step. The possible reason could be that you are all alone and you need to equip yourself with the latest online technological tools which can support you in making this journey a successful venture. And who knows that with the help of these tools you can provide all together a new direction to your online venture and create a growth path of your own. Yes, online entrepreneurship is the need of the hour and obviously is the future of entrepreneurship. The online entrepreneurship widens the horizons by reaching to the more clients, resulting in brand awareness and increase in the sales. But in order to maintain the performance and the consistency of your online endeavor you need to equip yourself with the latest and the best online tools which enables you to remain competitive in this field and provide value to the customers consistently. Yes, I have and am using the following mentioned tools personally and I am recommending these tools to you after my full satisfaction. Your online endeavor is not complete if you don't have website of your own. The designing of the website should be easy for the user so that s/he does not need to invest the time in learning the codes of the website designing. Weebly is one of the easiest ways to build your website in no time. Its drag and drop feature enables anybody to design beautiful website in no time and concentrate on the business. It has been found the e-mail marketing is one of the effective ways of retaining and acquiring the new clients. You can make your readers to read your blog and purchase the products by sending them regular and the customized e-mails. But when your subscriber base increases over the period of time, then it becomes quite difficult to provide personalized services unless you have an effective e-mail marketing tool. 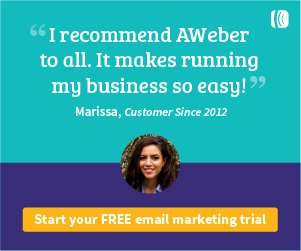 AWeber is one such very useful tool which enables you create and send beautiful and the engaging e-mails to your subscribers in no time and increase your e-mail list. You have your website and product is ready for a launch in the market. But can you sell your product without a payment gateway? Gone are the days when you use paper, disk or the pan drives to store your data and the information. There are online tools available which can be used to store the information from any place you are sitting and can be shared with you team or colleagues operating anywhere in the world, the only need is a laptop or a smartphone with an internet connection. When your customers increase your business grows and with that queries related to your product and the services also increase. ​If you fail to handle these queries effectively in time, you will end up losing your customer base which you have built with efforts. Freshdesk comes for your support in this by addressing the queries of the customers on the priority bases and much more. Quickbooks: The accounting software for running your small business in the easy, fast and the secure way. It is ideal for the self employed, agencies, firms and consultancies. 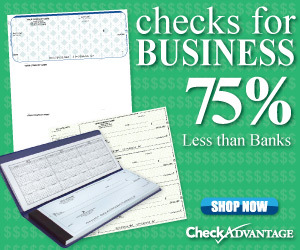 You can go one step further by displaying you company logo and address on the checks with checkadvantage. ​It offers wide range of check styles for the personal and the business use. Moreover, these checks work with the accounting software quickbooks. Most of us blogging on the WordPress and it is one of the largest content management system. If after some time you feel that you need your personal website on WordPress then WP land comes for your support and get your website built on the world's number one platform WordPress. If want to setup your online store in no time then I think Shopify is the best option to try for it. ​It provides complete e-commerce solution for creating your online store and sell your products. You can very easily upload your products, organize them, track the orders, accept the payments and much more.